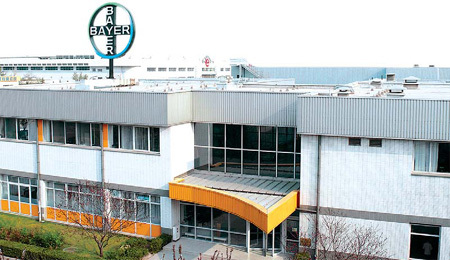 Bayer HealthCare Co Ltd's plant in Beijing was established in 1997 in Beijing Economic Development Area (BDA). Since its opening, the plant has made great progress. Its robust production and sales philosophy has enabled it to gain a lead position in the development of the whole Bayer HealthCare group. In 2005, ex-factory sales of Bayer Healthcare (BHC) Beijing plant reached 1.1 billion yuan, swiftly topped by 1.5 billion yuan in 2006. One year later, it amounted to 2.3 billion yuan. The plant is now confidently predicting ex-factory sales of 5 billion yuan for 2010. 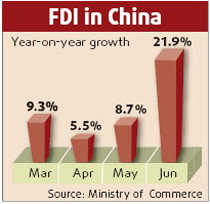 Last year, its production in China increased by almost 50 percent. Glucobay, the company's lead product, became the treatment of choice for patients suffering from diabetes in China. Additionally, the plant has also established 16 product lines. In order to boost its production capacity, an extension project for the Beijing plant was launched on August 2006. With strong support from the Beijing Economic Development Area (BDA), the project was successfully completed in October 2008. The factory's production capacity increased four times following its expansion and is now equipped with state-of-the-art technology, including the fastest medicine packing production line in both China and the whole of the Asia-Pacific area, allowing for a product throughput of 800 blisters per minute. With the expansion completed, the company is now looking to introduce four new packing lines and to produce three or four new products aimed at the requirements of the Chinese market. The plant has also adopted an advanced cleaning system with all the rooms connected via a central spine, preventing any contamination from the outside world when expanding or adding other functions. The company's management has been maintaining a good relationship with the various administrative sectors of the BDA, especially the department of transportation, the public security bureau, the inspection and quarantine bureau and the environmental protection agency. It has also enjoyed the provision of high quality utilities, including gas, electricity and water, at reduced rates thanks to the efforts of the BDA. BHC has also been one of the many companies based in the area to take advantage of the BDA's raft of training initiatives, including sessions on security protocols and the handling of hazardous chemical materials. Bernd Kalkert, vice general manager and head of product supply China, commented: "The staff of the BDA really care about us. No matter what difficulties we encounter, the BDA has always lent a timely hand. Our company has also been recognized as a model business in terms of its safety precautions and fire protection standards. "The management team of the BDA is highly responsible and their work is extremely professional. I've worked in Germany, the United States and China for many years and this is my fifth year working in the BDA. If you asked me to make a comparison of the services provided in all of those places, I would have to say that the BDA is the best and has given us huge support for all of our developments." As with many other managers running companies within the BDA, Kalkert cites the area's location, infrastructure and environment as key reasons for locating there. Summing up his company's plans for the future, he says: "I sincerely hope that the BDA and Bayer HealthCare will continue to jointly develop in the future and maintain their successful alliance."